All decisions during any stage of any project are based on interpretation of data. Often the interpretation is blamed for non-performance and the debates on for instance the adequateness of one estimation technique over another are endless. But the quality of the data is hardly ever properly queried. Drill sampling – we review or implement proper sampling techniques for any type of drilling. 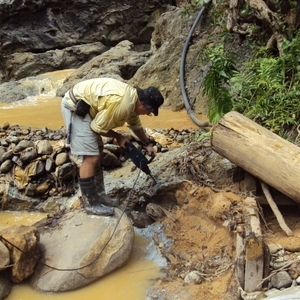 This can be a blasthole drilling problem where a bias is apparent, a diamond core sampling programme where issues such as core diameter, sample length/size and sampling procedure need to be reviewed, or, an RC exploration drill programme for resource definition, where issues such as dust loss, water, contamination and sample recovery may be a problem. We can assess the inherent heterogeneity of the material and determine optimal sampling and sub-sampling protocols using sampling nomograms and other tools. Face sampling – we review your underground face sampling procedures, hereby making sure that the sample is collected as best as possible. 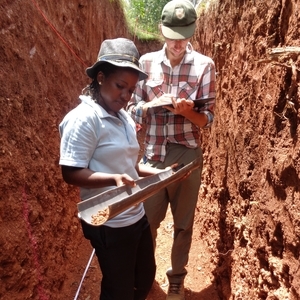 We take into account the geology, orientation of structures and sample size. 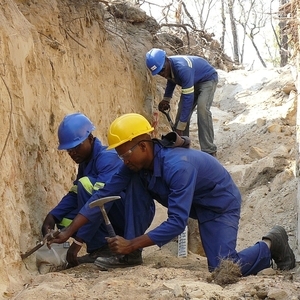 Plant sampling – Sampling at mineral processing plants is critical for the adequacy of the monthly reconciliation. Often, the sampling is taken for granted, with too much weight put on bad sampling such as pipe bleeds or dip samples. Expensive machines are poorly maintained and their output accepted as true and correct regardless of any issues the machine may have. We can assess each sampling point and optimise these points by applying the sampling theory and chronostatistics. This allows us to optimise the sampling frequency, sample size and demonstrate sample points that have excessive variance. Portable XRF (pXRF) sampling – pXRF sampling has gained in popularity in the last decade. Many papers exist on its proper use but more often or not the machine is used as a point-and-click device. There may be nothing wrong with that, but we can optimise your programme to get the best out of your programme. We can assist by making sure that the samples get properly prepared, analysed using the proper scheme at the adequate duration. We focus on making sure that accuracy and precision are controlled and that adequate check-sampling programmes are in place to warrant the quality. 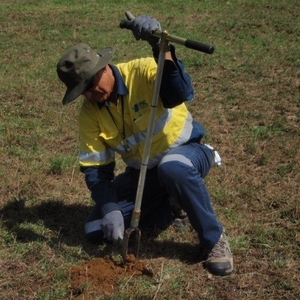 We can assist with implementing sampling programmes on soil (early exploration), drill core, underground or in the pit. Contact us to get assistance with the adequate public reporting of pXRF results.